Duck Duck Goose (film, 2018). A 2018 computer-animated comedy film with "PG" rating by GEM Entertainment/Film & TV House/(International)/Netflix/(North America). Directed by Chris Jenkins. Official Trailer. Duck Duck Goose is a 2018 computer-animated comedy film directed by Chris Jenkins. 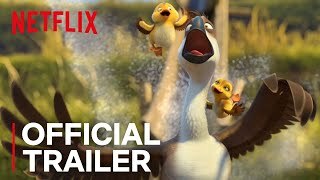 Duck Duck Goose | Official Trailer | Netflix. Peng is a carefree goose whose flock is migrating in China. His attitude and demeanor is disapproved by leader Bing, who he and his flock abandon while Peng is asleep. Meanwhile, Chi and Chao, a pair of ducklings on their way to a mystical place called Pleasant Valley, ends up being separated from their flock due to a careless stunt from Peng. To hide from a sinister cat named Banzou, they end up sleeping with Peng after they see him fending off Banzou. Surprised by their presence, Peng ends up recklessly flying away from them before he breaks his wing with a gong. Flightless and frightened, Peng decides to use the ducklings to fend himself off from predators, and return safely to his flock. The ducklings reluctantly agree to go with him. After a series of misadventures, Peng starts to grow on the ducklings, however, before he agrees to help the ducklings reunite with their flock, he comes across his own flock, where Chi and Chao discover his true intentions. The two groups end up parting their own separate ways, as they try to get to their destinations. Peng attempts to fly one more time, but is soon knocked down by hermit squirrel Carl. Carl builds Peng a makeshift wing for him. Inspired, Peng decides to use the wing to head back to Chi and Chao. However, when the ducklings reunite with their flock, they soon realize that Pleasant Valley is actually a restaurant that serves ducklings. Peng rescues Chi and Chao, however, during their escape, they get separated again. Banzou returns and holds the ducklings hostage, Peng confronts Banzou, but becomes badly injured from fighting him. Chi and Chao light a rocket and launches him into the sky. 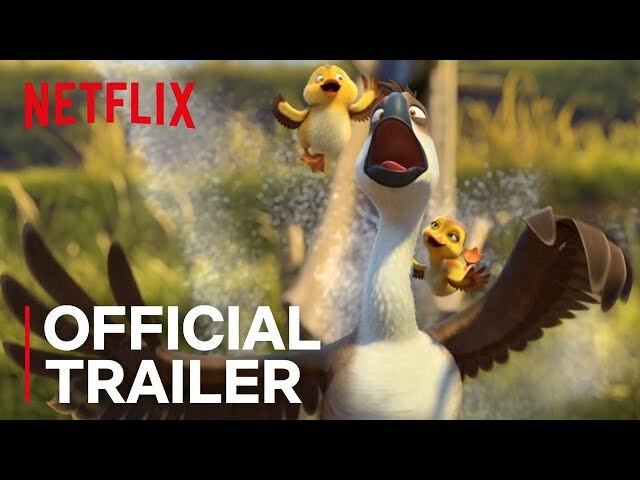 The film Duck Duck Goose was scheduled to be released by GEM Entertainment, Film & TV House, (International), Netflix and (North America) on March 9, 2018 (China), on April 20, 2018 and on July 20, 2018 (United States). The duration of the film is 91 minutes. The film grossed over $15.3 million.